Pundits and donors ignored HD 92 for years. 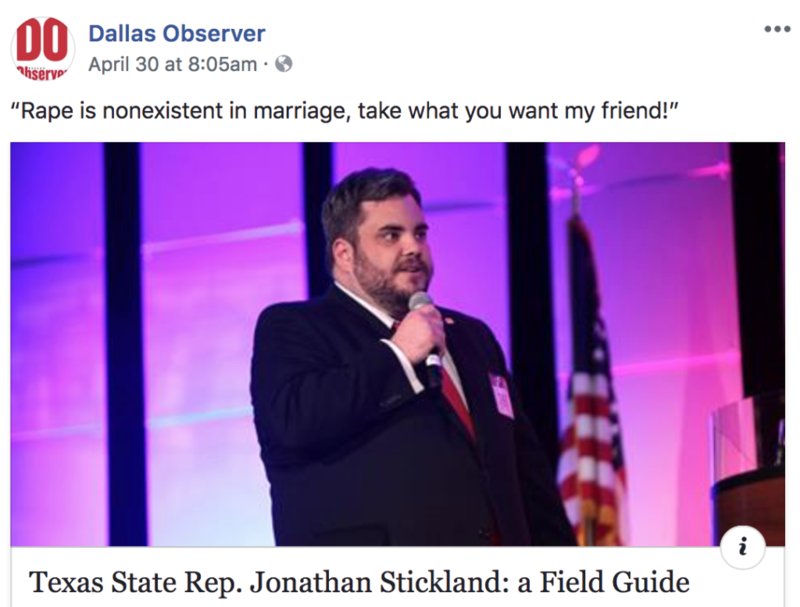 You may not know the district, but you know Jonathan Stickland—disliked on both sides for his antics and extremism. He was just the lone “no” vote on HB 3—a sweeping education reform bill. Each session, he authors permitless carry—guns everywhere, for anyone, anytime. Last session, he led the “Mother’s Day Massacre,” killing 121 bills including one to protect kids from online sexual predators. HD 92 has NO voice for reason or progress. With our help, the 2018 Dem nominee closed a 16-point lead to less than three. 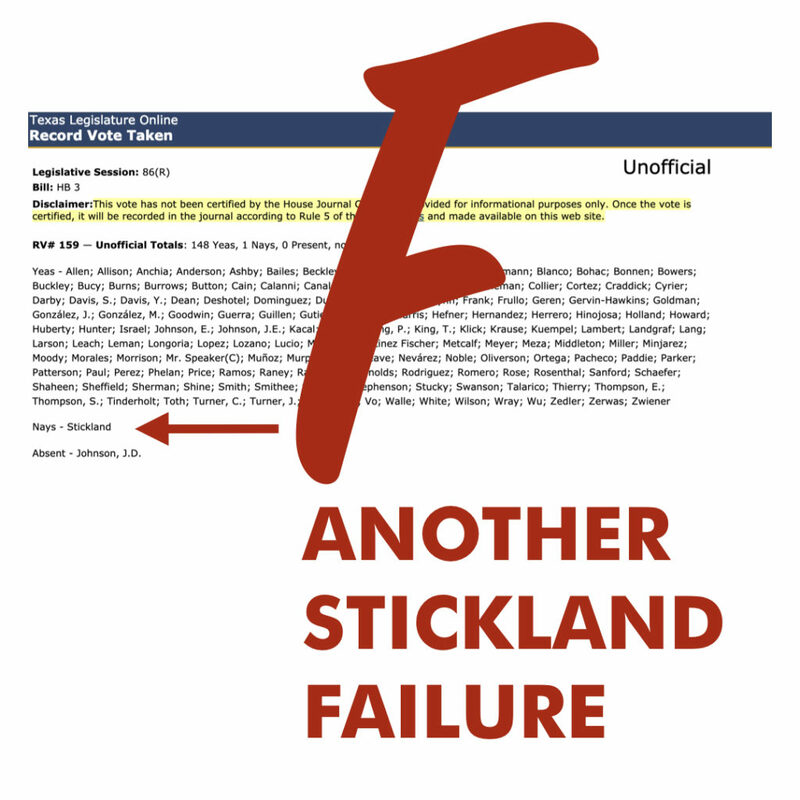 Stickland is embarrassing. He’s appalling. He’s funded by West Texas dark money and he beats every R challenger because the hard right turns out. Heard enough? We’re fundraising NOW for 2020. Pitch in TODAY to retire Texas’ worst lawmaker. Democrats have shared values on equal opportunity, minority protection, education investment, family leave options, and so much more. That’s why we support Democrats in all elections. It’s critical to help get out the vote during Early Voting and we’ll be making calls for our smart and qualified friends running in Hurst, Euless, Bedford, and Southlake. You can choose to call or text after our quick business meeting. Here’s our Facebook event and our Tweet to share. This week, Democrats and Republicans came together in the Texas House to pass House Bill 3, funding full day pre-K, teacher and campus staff pay raises, investing in students, not test scores, reducing recapture, and lowering school property taxes. Only one lawmaker voted against this massive reform bill. HD 92 has no voice for progress on public school finance/education/taxation with Rep. Stickland in office. Send him packing. We are fundraising now for our 2020 nominee. Stickland is funded by West Texas dark money. He’s beaten every Republican challenger because the hard right turns out in primaries. The only way to win is by electing a Democrat to serve HD 92. We’ve helped elect smart, qualified, and fair Democrats who care about our community, the environment, education, healthcare AND you. Whether you’re a longtime voter/first time activist or a seasoned campaign volunteer, there are many ways to elect Democrats and have a great time doing it. Bring your questions and bring a friend! 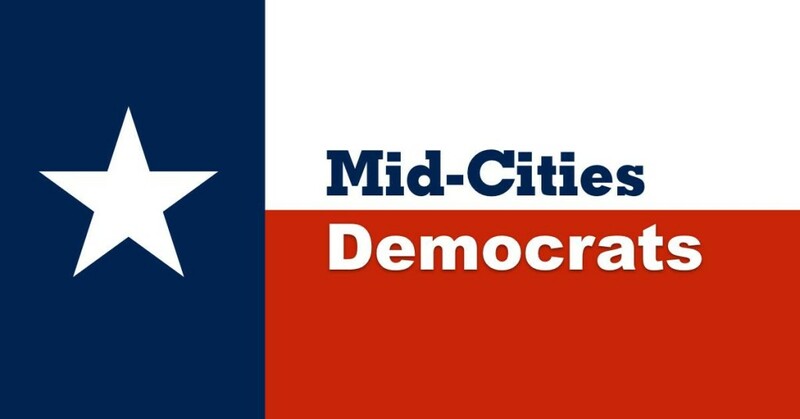 We’re dedicated to electing Texas Democrats—from city hall to the Texas Legislature. At city hall and public school administration buildings, decisions are made that impact your daily life and your wallet. 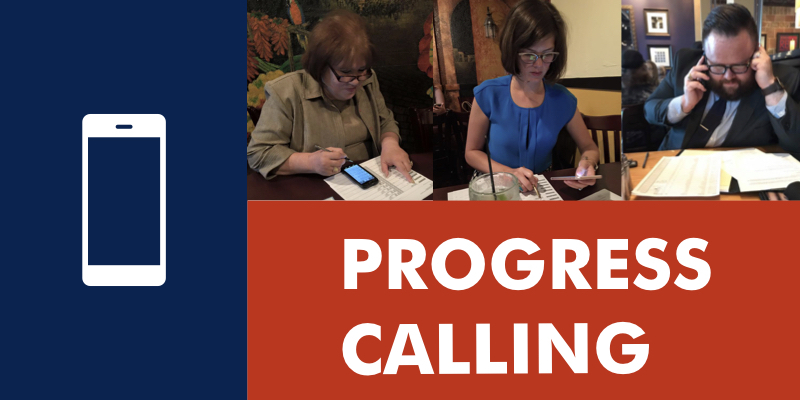 Last year, we helped push back against extremists (supported by Empower Texans dark money and HD 92’s current state rep) to elect qualified candidates in Hurst, Euless, and Bedford. At this month’s meeting, we’ll hear from council members Bhojani, Cogan, and Shepard. Bedford City Council member Amy Sabol had a grassroots win in 2017 and she’s up for reelection this year. She’ll reflect on her first term and plans for the next. Several other smart Democrats are running for the May 2019 local elections, and we’ll hear from them, too.